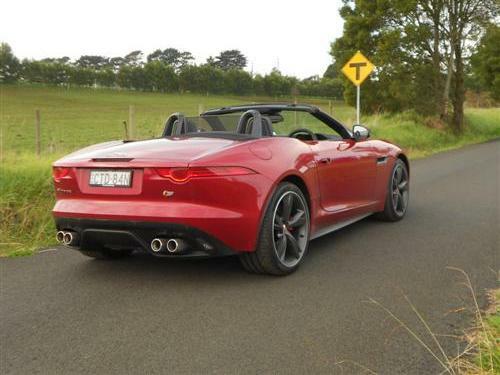 The all-new Jaguar XF will be released in Australia during Q1 2016. Formed around Jaguar’s aluminium-intensive architecture, the all-new XF will bring an unrivalled blend of design, luxury, technology, dynamic capability and efficiency to the what Jaguar call the business car segment. The all-new XF’s dynamic design combines the outstanding proportions, elegant surfaces and perfect lines which define all Jaguar cars, with a longer wheelbase, more interior space and exceptionally low aerodynamic drag. The all-new XF range will consist of: XF Prestige, XF R-Sport, XF Portfolio and XF S.
The powertrain range will consist of: 132kW 2.0-litre diesel automatic; 177kW 2.0-litre petrol automatic; 221kW diesel automatic; 250kW and 280kW 3.0-litre petrol automatic. Manufactured in England at Jaguar Land Rover’s Castle Bromwich Plant, the all-new XF joins the Jaguar saloon car range between the exciting new XE and XJ model lines. 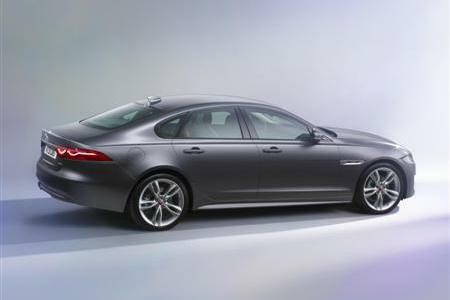 The 2007 XF was a radical step forward for Jaguar – and for the business car segment. Combining a sleek exterior and a luxurious interior, it set the class benchmark for aesthetics and driving dynamics. Features such as the rotary shift controller, rotating air vents and phosphor blue ambient lighting set the cabin apart from the competition and made the XF a highly desirable, aspirational vehicle. It was like nothing Jaguar had ever made before, and like nothing the competition could offer. The all-new XF retains its predecessor’s core attributes, but uses Jaguar’s aluminium-intensive architecture to enable weight savings of up to 190kg, plus an increase in torsional stiffness of up to 28 per cent. The architecture also delivers dramatic improvements in packaging and the proportions so essential to Jaguar design. 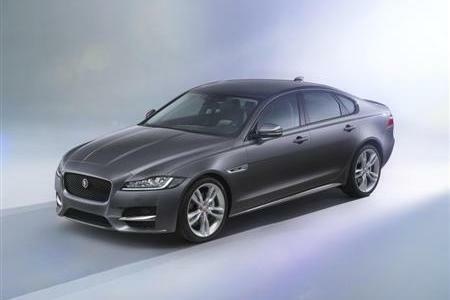 The all-new Jaguar XF is 4,954mm long: at 2,960 the wheelbase is 51mm longer than before, the front overhang 66mm shorter. Though 7mm shorter and 3mm lower than the original XF, rear seat space is class-leading thanks to 15mm more legroom, 24mm more knee room and up to 27mm more headroom than before. Aerodynamics are also superior: the drag coefficient drops from 0.29 to just 0.26. “From an engineering perspective, our targets with the all-new XF were bound by one holistic goal – it had to do everything better, and it does”. “It offers even better dynamics, even greater refinement for the comfort of its occupants, it delivers an all-new infotainment system, and it utilises every last mm of packaging to maximise interior space, while exploiting all the weight-saving optimisation offered by our new aluminium-intensive architecture. As a driver you will notice these benefits from the moment you sit behind the wheel.” ..... Ian Hoban, Vehicle Line Director, Jaguar XF. Infotainment and connectivity is the most advanced Jaguar has ever offered. The all-new InControl Touch Pro system builds on the intuitive user interface of InControl Touch, and supports all the same – but offers a 10.2-inch touchscreen and Dual View technology which simultaneously allows the driver to see information such as navigation, while the front seat passenger watches TV or a DVD. “Lighter and more efficient, with enhanced space, an all-new premium infotainment system, a greater breadth of powertrains, unrivalled dynamics and refinement and, of course, world-leading design, the all-new XF offers customers a compelling package.” ..... Steven de Ploey, Brand Director, Jaguar.